Gochecked.com is run by a IIT alumni, Mr. Mayank Jha. GoChecked is a multi-device (web, mobile app, SMS) loyalty platform to help connect business with their customers. We aim to make the loyalty program simpler for the businesses to initiate as well as for the user to participate in. GoChecked helps businesses in improving their customer retention, increasing their brand visibility, promoting word-of-mouth marketing and providing enhanced business intelligence. The user can maintain and track all his points on his mobile phone and is saved the trouble of carrying many loyalty cards or logging into several different websites to use his points. At GoChecked, Mayank has set up a mobile loyalty platform for businesses to better connect with their customers and to improve customer retention along with a host of other features. Previously Mayank has had several years of experience across finance with Fortune 500 companies. At JPMorgan London, he has had client facing roles in Investment Banking (proprietary distressed debt trading and CLO Structuring). He has also been one of the early members of a Boston based equity research company-Trefis, where he oversaw the company growing from 6 researchers to 20 and increasing its coverage space to over 200 large cap US companies. 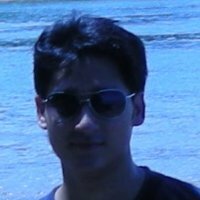 Mayank has also worked with GE HealthCare Paris and Thomson Reuters Paris. He received a Platinum award from Thomson Reuters in May 2007 in recognition for his work. Mayank finished his Masters in Management (Diplom de Grande Ecole) at ESCP-EAP (Paris) in June 2007 and he did his Bachelors in Mechanical engineering from IIT-Delhi in 2005. His experiences in India, France and UK have helped him to develop an international network of trustworthy friends, to be able to work more closely in cross-cultural teams and organizations, to be more creative and flexible towards new ideas, and to have a good understanding of the industries, financial markets and business best-practices in these countries. Our platform is practically free and doesn't require any expensive hardware or software. Moreover, it is easily implementable and so simple that even your dumbest employee will know how to use it. We also offer a three-month absolutely free trial period, with no strings attached, so that you can witness how it can transform your business. We will be happy to drop by at your convenience and discuss how CHKD can help you maximize the value of your business.